With just the right splash of color, your name, and plenty of lined space, these pads make taking notes a pleasure! 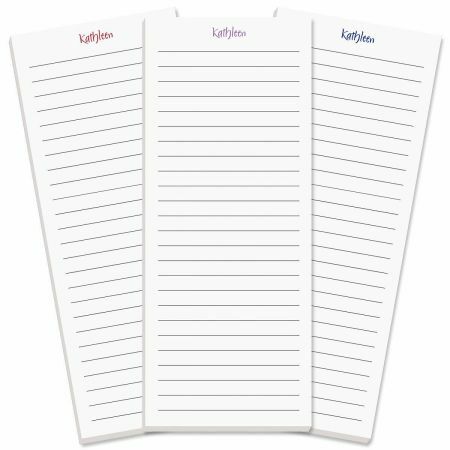 Our personalized list pads keep life more organized and less complicated — perfectly convenient for home or office, vehicle or purse. 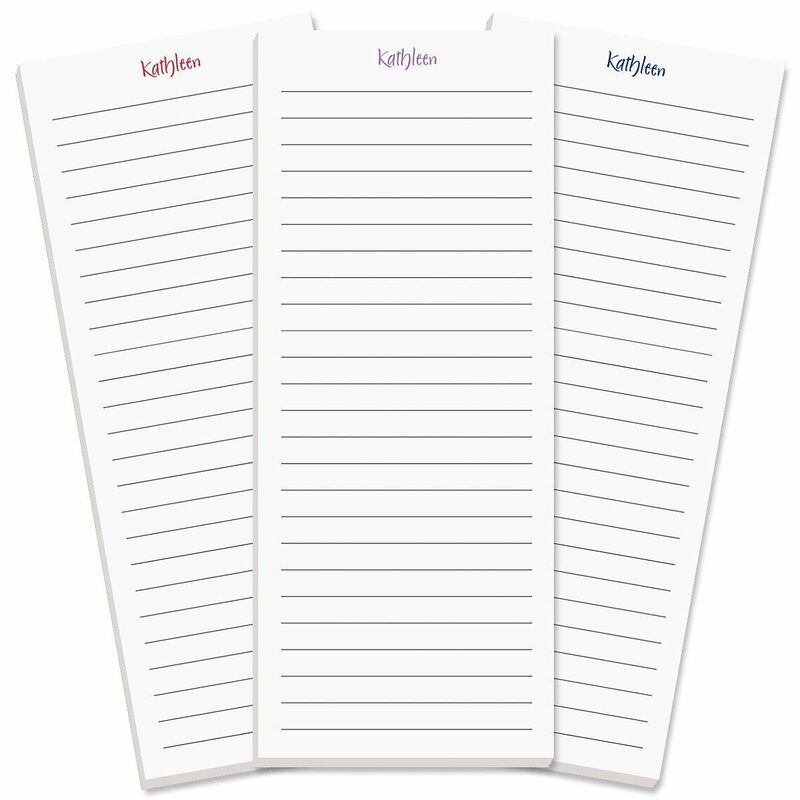 Each lined 3-1/4" x 8" list pad contains 50 sheets. We'll add your name or personalized message and send them in gift packaging. Set of 3 (single design). Specify name up to 12 characters and ink color.